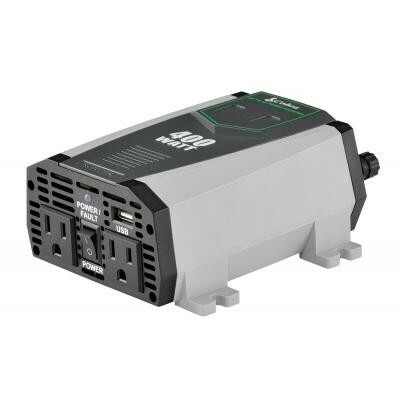 400 Watts continuous power – 800 Watts peak power. 2 grounded AC outlets – Powers up to two household appliances. 2.1A USB port – Charge mp3 players, smart phones, tablets and many other USB-powered devices. Cigarette lighter cord & direct-to-battery cables included – Provides power directly from vehicle battery. voltage shutdown, low voltage shutdown and low voltage alarm.